Do you find yourself excitedly heading to the shopping centre, only to come away because you can't find anything to suit? As we get older, we find ourselves donning a muffin top, a third tyre or a tummy. Whatever we call it, it can make it difficult to find the perfect dress to disguise our belly! 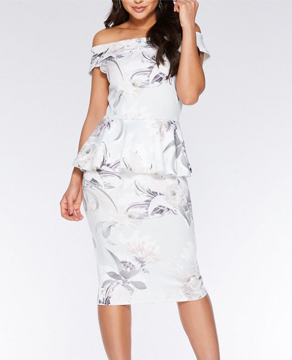 Luckily, there are so many dresses available to flatter our shape and style, so we've found some of our favourites for you. Draping and knots around the waist can perfectly conceal your tummy by ruching or laying over the tummy area, whilst defining or creating a waist at the same time. 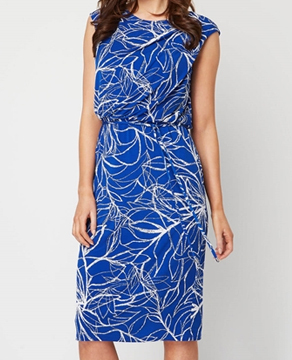 Like knot dresses, wrap dresses ruche around your tummy to disguise any lumps and bumps, and create a waist. Bonus points for any tie detailing; this acccentuates your waist and hides your tummy even more! Some avoid peplum hems as they think they add bulk to the tummy area, but we believe they disguise it! 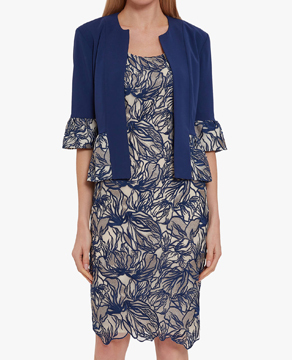 Peplum dresses are perfect for work and occasions, and create a pretty hourglass shape. We all know horizontal stripes make you look taller and slimmer, but make sure you choose narrow stripes to really elongate your frame! Let a cape dress flow over your tummy and disguise it without compromising on style; they're just perfect for your next occasion. Have you any more tips and tricks to disguise your tummy for our SoSensational ladies? We'd love to read them in the comments! Life gets so busy that it can sometimes be hard to stay on trend. As we hit our 50s, we took our power shoulder pads and skimpy skirts to the charity shop, but where should we stand on modern day essentials? 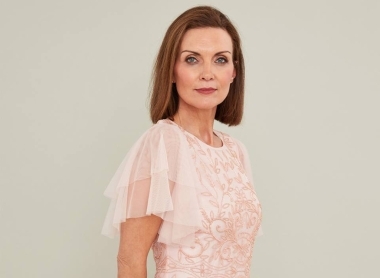 We don't believe in hard and fast rules for our personal style, but we've come up with 7 indispensable pieces every stylish lady over 50 should have in her wardrobe. 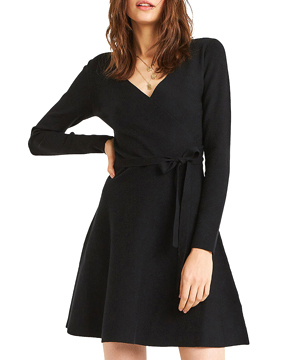 As cliché as it sounds, everyone should have a gorgeous little black dress in their wardrobe! 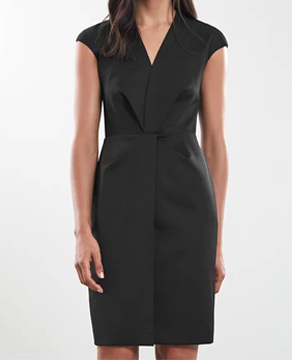 Choose an LBD you can easily dress up or down for work or occasions with comfortable flat loafers and heels, gorgeous jewellery and an array of jackets. Oh-so simple, but so versatile! Cardigans make ideal layers all year round whether over a top or under a coat. 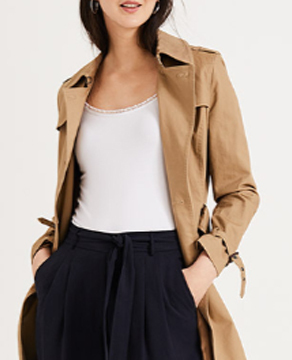 Choose a few versatile pieces you can wear casually, for work and even for an extra layer at events. Choose a snug fit and simple block colours to match your outfits, and a cosy, chunky knit for cold days. 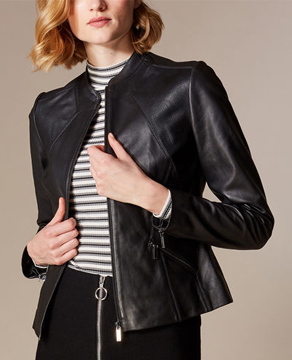 You're never too old for a leather jacket! Choose a classic style that fits well rather than an oversized style. 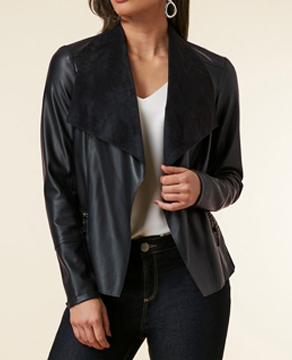 Biker styles, waterfall jackets or collarless designs suit most ladies, and look seriously chic. A simple, yet essential piece in any wardrobe is a quality pair of leggings. They're warmer than tights in cold weather, yet look sweet with tunics and dresses in summer. Choose a pair with a thick fabric that holds their shape, and choose tops that cover your derrière! 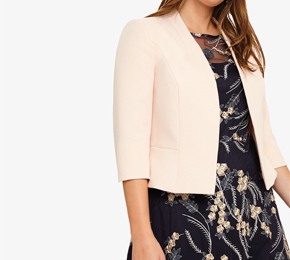 Suits are so versatile for work; wear each piece on its own or all together for a chic look. Blazers also look gorgeous with jeans at the weekend! Choose fitted styles that flatter your figure. Of course, go for whatever jeans you love, but dark wash jeans are universally flattering and so easy to create an outfit out of. Choose a simple striped top for the day, or team with heels and a smart top for the evening. 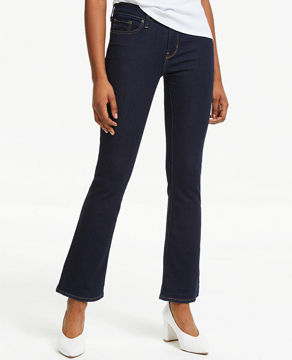 We think straight or bootcut jeans look gorgeous on ladies over 50. 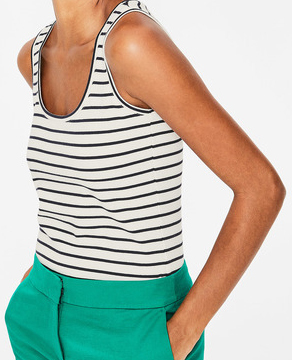 Your wardrobe essentials aren't complete without simple tank tops! 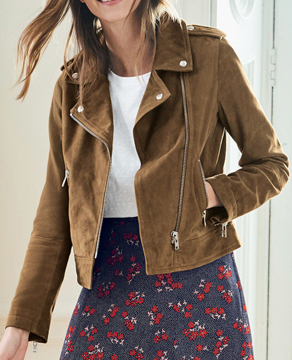 They may sound boring, but they're an easy layer tucked into skirts, trousers and jeans, underneath jackets and cardigans, or even under your jumper on a cold day. Choose a snug fitting piece in essential and fun colours to smooth out any lumps and bumps. Have you got any wardrobe essentials you think every 50+ lady should have? Leave a comment! 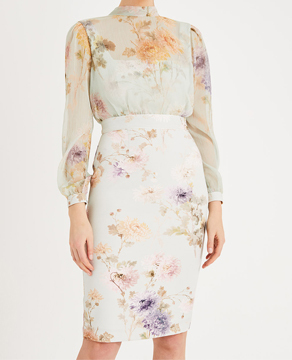 You've been invited to a wedding, but what to wear? 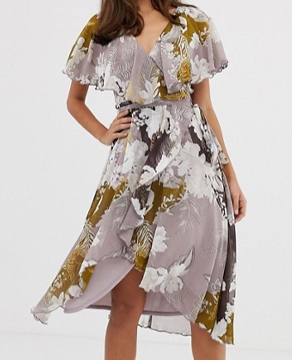 Maxi and midi dresses are the new midis at the minute, and that's great news for our older legs! With gorgeous embellishments, pretty lace, chiffon and pleating, there's an array of sophisticated styles that look great for a wedding. As we get older, some of us feel self-conscious about our arms. 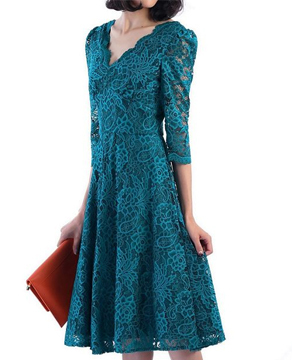 Fortunately, there are plenty of gorgeous long-sleeved dresses ideal for weddings! If you're self-conscious about your tum, choose a wrap dress to skim over your curves, or a pretty cape dress to float over it. Don't do dresses? 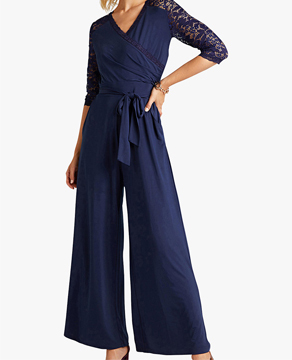 There are plenty of sophistacted and stylish jumpsuits that look just fabulous for any wedding guest! 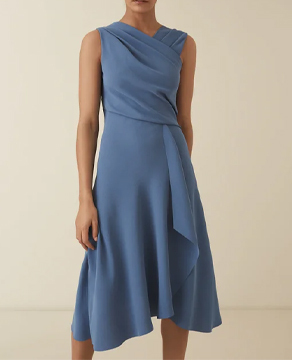 To complete an outfit, warm yourself up in colder weather, or cover up your arms; a pretty shawl or fitted jacket is the perfect piece for your wedding guest look. 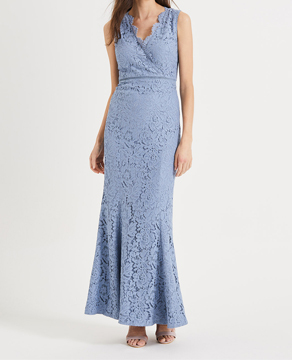 What's your go-to brand for wedding outfits?